Do you have a toy car loving kid? Channel that interest into a fun math activity to practice making ten. Grab those cars and let’s have some fun! 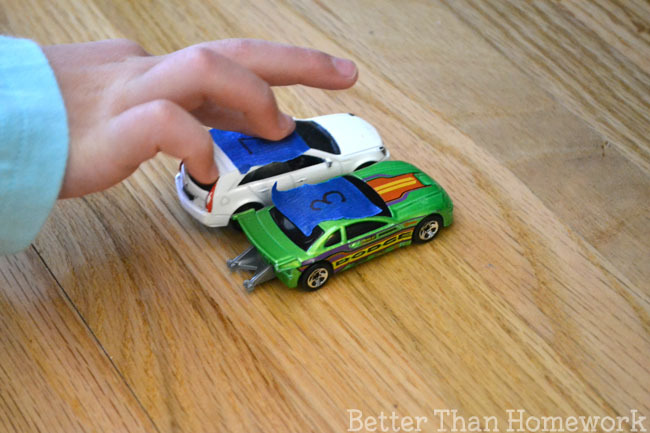 You’ll need 12 toys cars, painter’s tape, and a marker. Make sure you have a tape that will peel off easily. You don’t want it to be stuck to the car permanently. Put a small piece of tape on top of each car. Mix up the cars. 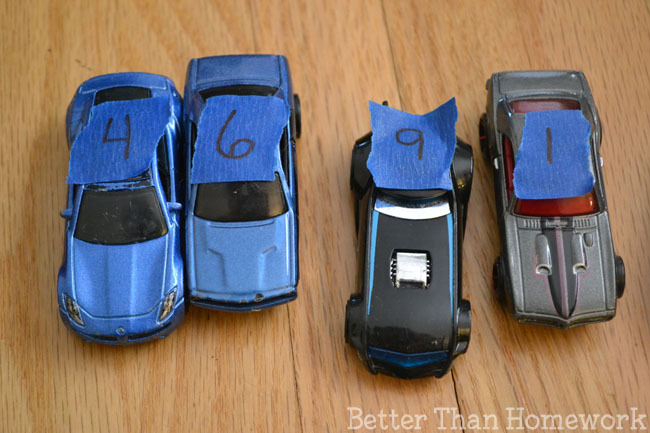 Challenge your child to match up the cars so that each pair adds up to ten. Let them use their imagination while they play. Park the cars in a parking lot in the correct pairs. Or maybe each pair of cars lives at a different house. 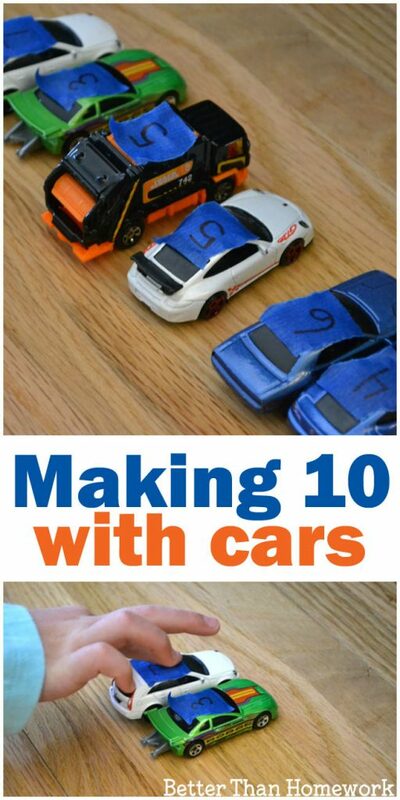 Let your kids drive the cars around, have fun, and practice making ten all at the same time. Pair up the cars in the wrong pairs. Have your child put them in the correct pairs. Don’t just make ten. Pick any two cars and add them together. What is the total? 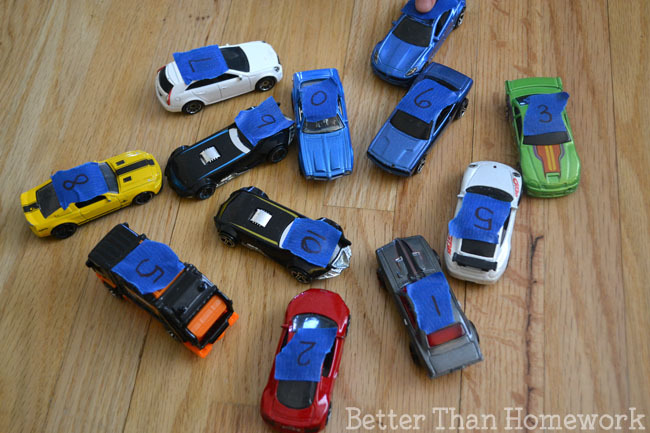 A younger child would enjoy lining the cars up into the correct order from zero to ten. How would you play with these cars? 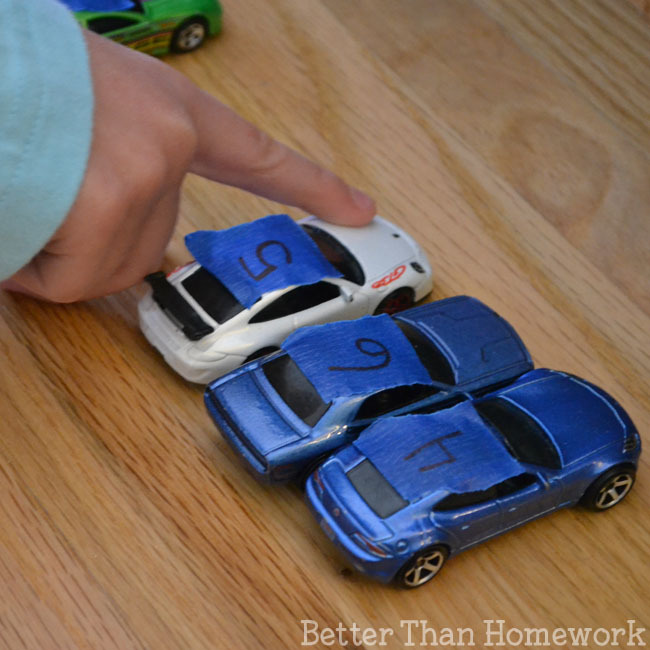 This game is the perfect excuse to get out the toy cars. Just add a few numbers and suddenly you’ve turned learning into a game. 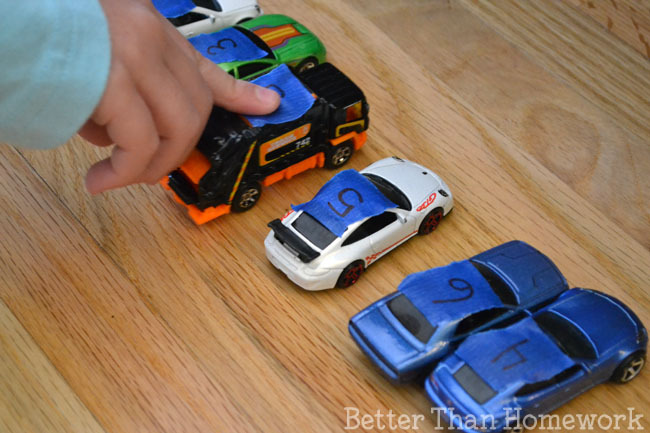 And, when you’re done, just peel off the numbers and have fun playing cars. If you enjoyed this post, the above photo can be share on Facebook. Or, you can Pin the photo below.